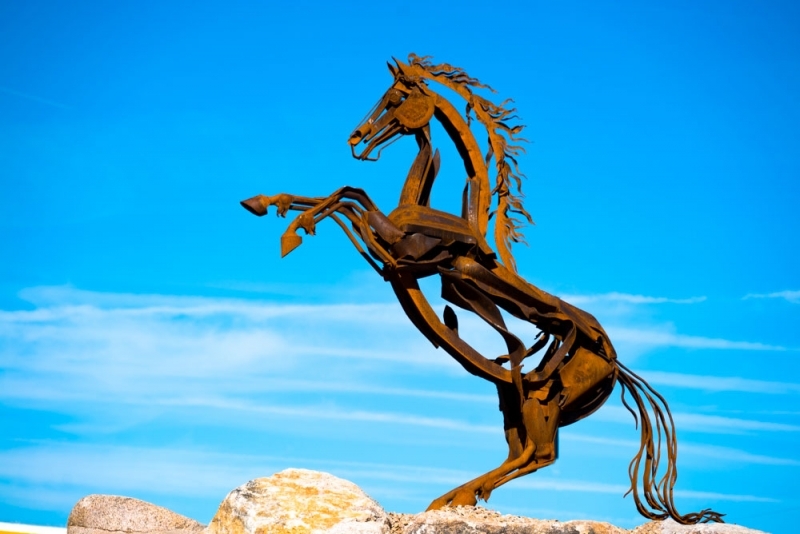 Joseph Fichter was commissioned to create six monumental horse sculptures in steel. 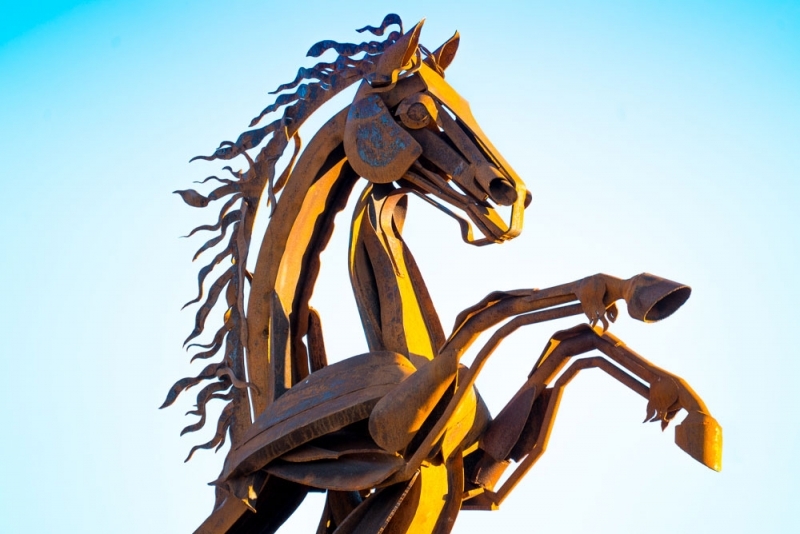 These wild horses are a “main feature” as people enter the city from Interstate 70. The sculptures are installed in the two roundabouts drivers enter as they exit the highway or travel from the airport into the city. Click here to see the Grand Junction horses.